With Christmas just around the corner, we've teamed up with Victoria Square to give Q Radio listeners the chance to win a festive shopping spree before Santa arrives! For a chance to win a £100 Victoria Square gift card, simply tune into Northern Ireland's Best Breakfast Show with Stephen & Cate all this week and you could be a lucky winner! Enjoy a festive shopping trip at Belfast's leading shopping centre this December and treat yourself or someone you love! 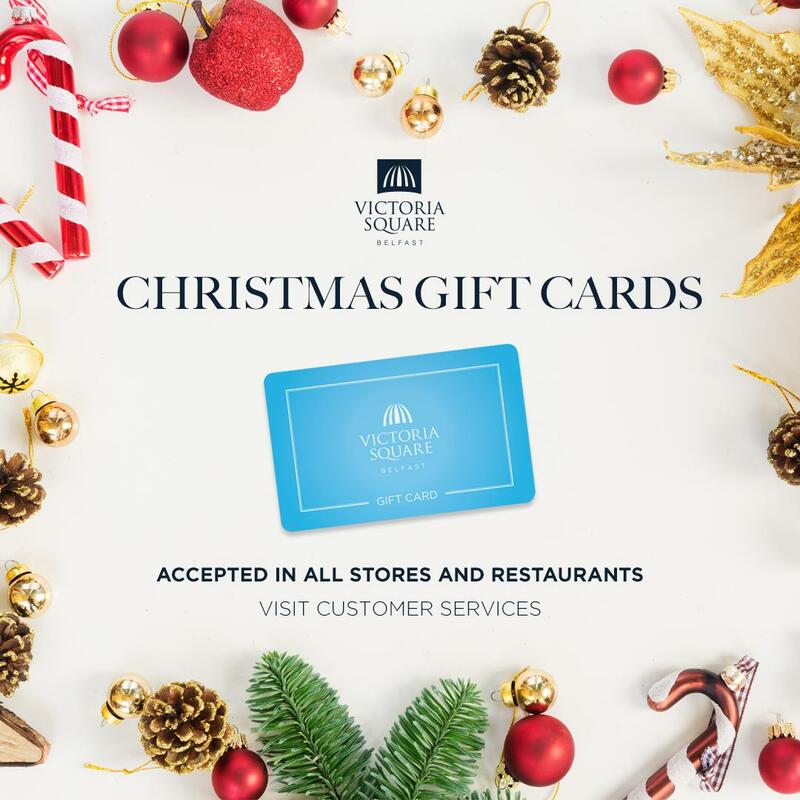 The Victoria Square gift card is the perfect gift for anyone and is available at the Customer Services Suite or online here. Give your loved ones the option to choose their perfect gift from the wide range of stores in Victoria Square. Gift cards are accepted at participating stores and restaurants within Victoria Square.